Very comfortable to stand on when cleaning up the dishes! Added color to my kitchen and a focus point! Was glad that I ordered it! The Classic Buffalo Check Anti-Fatigue Floor Mat is made to give you long-lasting comfort and enjoyment. 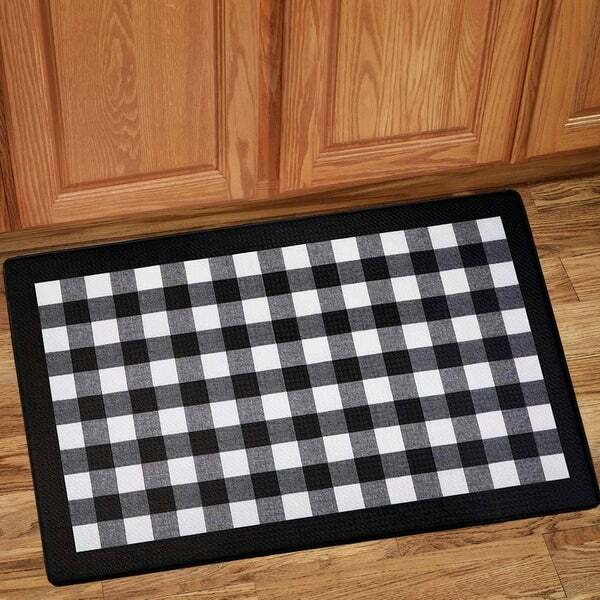 This mat features a classic buffalo check print with a solid border and is made with memory foam for extra cushion. The colors weren't very vivid. Love any thing in this print! Reminds me of McKenzie Child's! Wanting to give my kitchen “farm charm”.